I usually blog my food posts on a Friday (a.k.a food friday!) but this week has been all over the place and I’m currently in the North East for a fortnight visiting family. Subsequently, I’m limited with what I can blog – it’s quite alright to stand in my own house taking a billion FOTD / nail pictures / swatches but quite another looking like a crazy in someone else’s house! Until I can sneak away somewhere where I’m not overlooked, I’m blogging some older photos that are left-over on my hard-drive – bear with me! Since I’ve been doing Weight Watchers, I’ve amazed myself at how devious I’ve become when it comes to discovering ways to stuff my face (with the most amount of food) for the least amount of points. I’m not sure that this is truly helpful in the long run (portion control anyone?) But it’s keeping me on the plan day-to-day, so I won’t knock it too much! 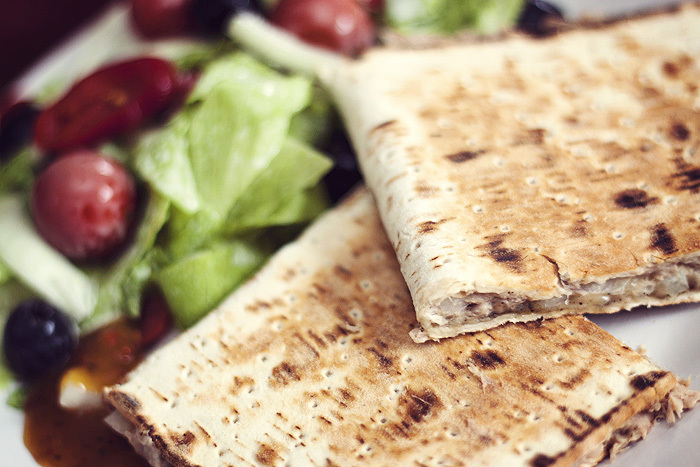 They make fantastic wraps, pannini alternatives and pizza bases – they’re super versatile, are a little more filling than a normal wrap and “weigh” in at only 4 points a-piece – roughly the equivalent of two slices of bread. Before I discovered these, I thought pizzas were off the menu for good! Hallelujah for square-ish wraps! One of our weekly meals is a Tuna Melt, served up with a big side salad. It’s obviously not the most complicated meal in the world, but it’s both satisfying and quick to rustle up! 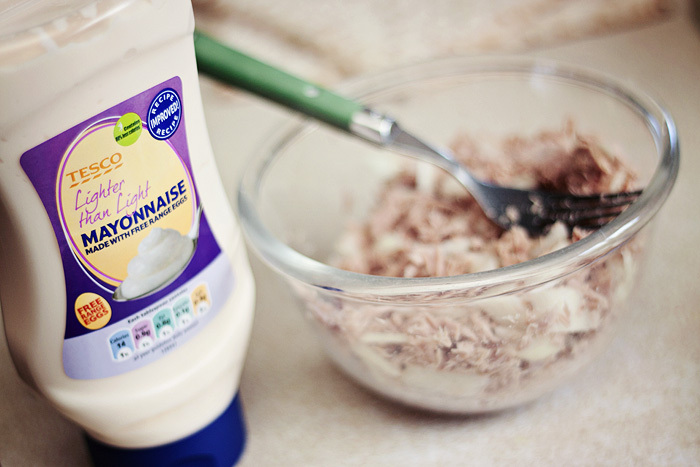 Combine the drained tuna, onions, black pepper, and mayonnaise in a bowl. 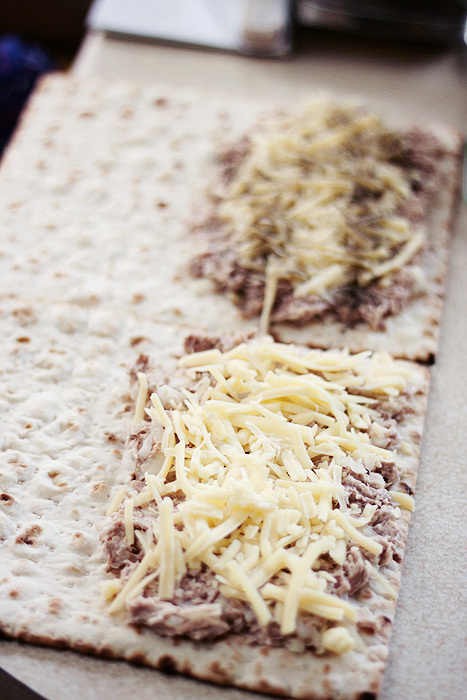 Spread the ‘filling’ over half of one of the square-ish wraps before scattering the cheese ontop. 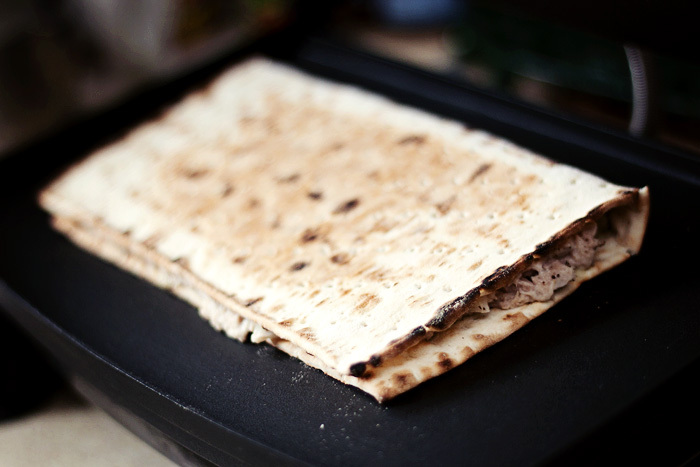 Fold the wrap in half and either place under a hot grill or use a panini press. 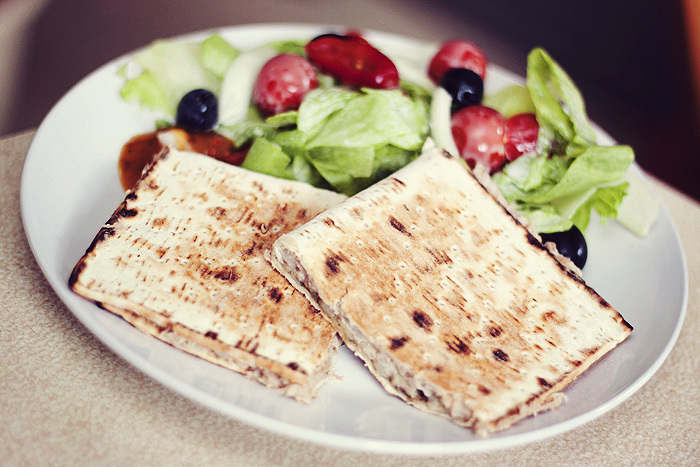 I love my press, healthy toasted sandwiches! Grill/toast until the cheese has melted and serve with a side salad. I’m a sucker for a splodge of chilli sauce with mine, don’t tell anyone. The entire meal comes in at a very respectable 10 Pro Points, less if you use low-fat cheese. What are your favourite filling-but-low-fat meals? This looks delicious. 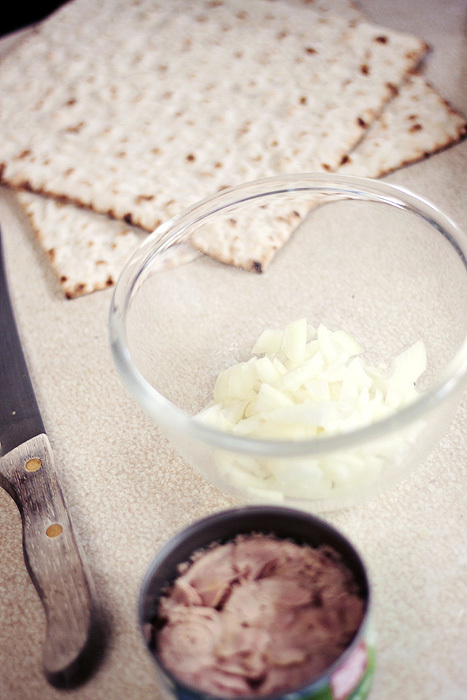 Onions and mayo just go perfectly together! I use this combination on potatoes too. A dash of honey mustard would lift this too, if you like this condiment. Hello, I am also in weight watchers program but in Israel. That is totally my lunch for tomorrow sorted! Love tuna.